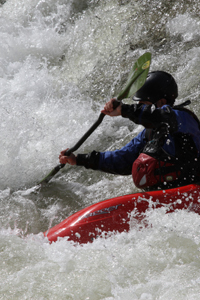 Sea kayaking mainly takes place between March and October. We cater for paddlers of differing abilities and offer weekend and day trips around the UK coastline and do longer trips abroad as well. Many of our members also enjoy attending sea kayak symposiums (formal coaching events) and meets (more relaxed social events). We offer at least one organised weekend trip every month during the main season, often more depending on weather conditions. We also run overnight bivvy trips both over a weekend and longer. We run trips on sheltered water, coastal venues of varying commitment levels as well as more advanced trips including open water crossings and tide races. We paddle mainly along the coastlines of Dorset, Devon, Cornwall and Wales and Lundy Island. Club members have also paddled in Scotland and the Italian island of Elba. We are looking to do even more trips further afield to explore wild and beautiful coastlines.